Electronic Integration presents a wide range of high quality audio components for enjoying the wonders of music. Our wide range of audio components offers you products that provide great sound, fit well with any home decorative style and are easy to use. A properly chosen high performance stereo system from Electronic Integration will bring you many years of listening pleasure. Our product selection ranges from items at introductory price points to those representing the ultimate state of the listening art. We represent only those companies who meet the test of time and who back up their products with great service. Let our years of knowledge and experience assist you in creating a system that can grow with you as you experience the joy high performance home audio has to offer! We can also integrate an outstanding music system into your home theater and provide ways to get the best possible music reproduction from your iPod. 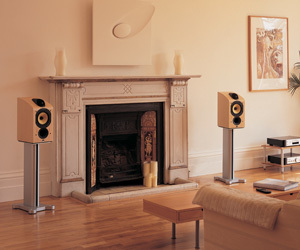 Visit our showroom, bring your favorite musical selections, and treat your senses to an unparalleled musical experience.